Ok, there are all aluminum and plastic aluminum replacement radiators all over the internet. So which one should you choose? Aren't they all the same? First, NO they are not all the same. Just like any other item sold in store or online, there are good and bad versions available at different price points. In terms of a radiator, let's not forget we are putting that item in a moving vehicle. if a cheap TV goes bad, you may be ok dropping it back off into a store and missing a couple day's worth of shows, but do you want to have your vehicle stop working on a highway? Can you afford to miss work because the cheap product you installed went immediately bad? 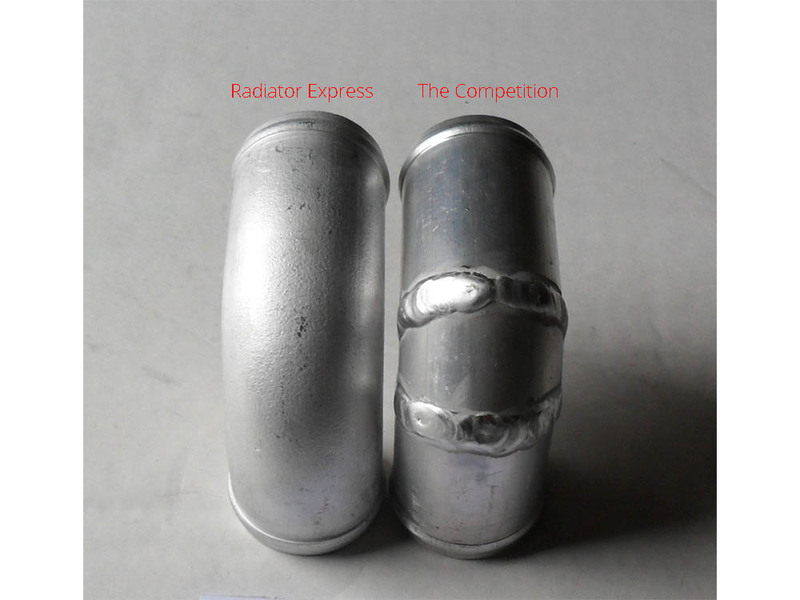 As a national auto parts supplier, Radiator Express only sells stock dealer quality and enhanced products. Our price points are competitive online and the quality will meet or exceed anything you can purchase from a dealership. Today we will discuss the now popular "all aluminum" radiator upgrade. 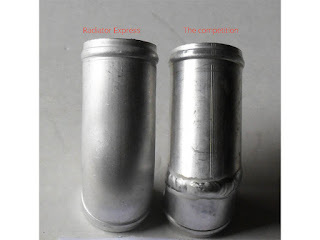 Many users do not like that stock radiators are made with plastic tanks... they crack and wear over time.. Yes, the manufacturer has made them to break over time... Everything is made to break in today's market. This also applies to the all aluminum radiator that you may be tempted to buy at a super low price on ebay or amazon. Below are pictures of our radiator compared to the competition. 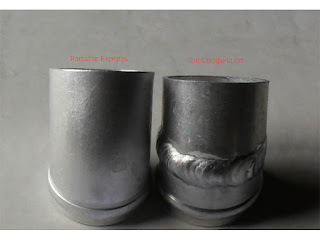 As you can clearly see, the item we manufacturer will be much better quality than the "other" guys. 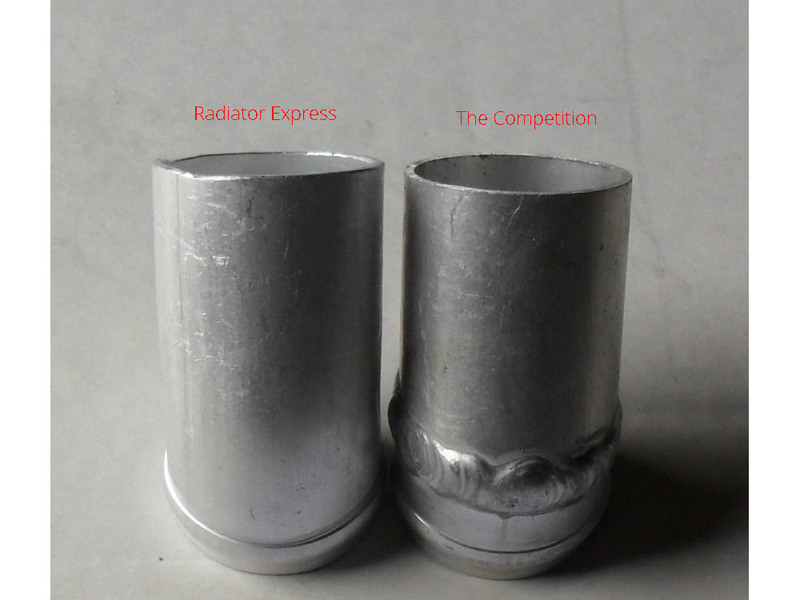 Items designed to break will have many additional welded seams instead of fluid builds.. These added welds and breaks in the product are not only ugly, but they add additional stress points for failure. Building radiators like this saves the manufacturer lot's of money and allows them to sell items at eye popping low prices. Be very aware and fair warned that cheap radiators you may find online may have a defective rate well above 50%. That literally means that more than half of the units sold are going to just start leaking for no reason. It may be a day, a month, or a year, but rest assure you'll be putting a new item in sooner than later. Unfortunately as well with these futuristic selling platforms, you may not be able to contact the vendor whom sold and shipped you an item directly from overseas.